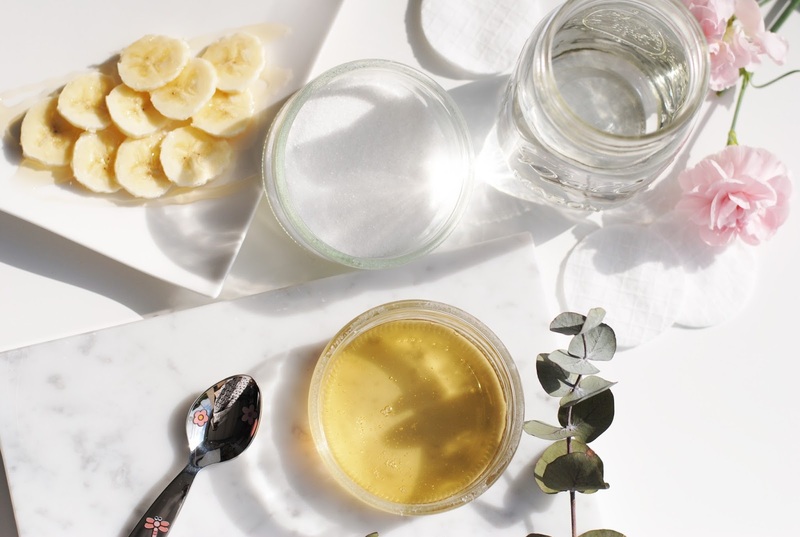 Demak'Up created a challenge to try and make a DIY detox water and a mask because a lot of women don't have a skincare routine yet and see cleansing/scrubbing and masks as unnecessarily extras. I accepted the challenge, because making a mask myself was high on my to-do-to-blog-makeup-bucket-kinda-someting list. So this is the mask I came up with, it's a mask/scrub hybrid. Some sugar, honey. And some banana. 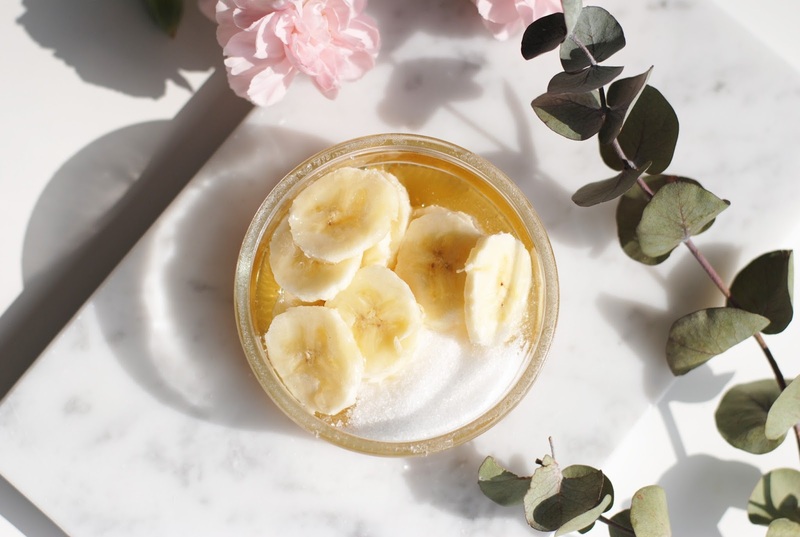 There are only 3 ingredients in my mask/exfoliator: sugar, honey and banana. Banana is packed with vitamins! Vitamin A works to get rid of dark spots ad blemishes. 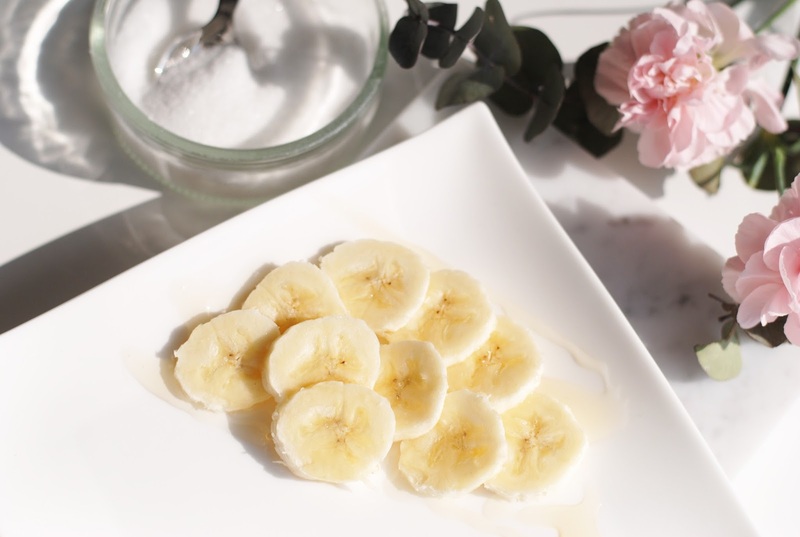 Vitamin B and potassium moisturize the skin. Vitamin E protects against free radicals (wrinkles). 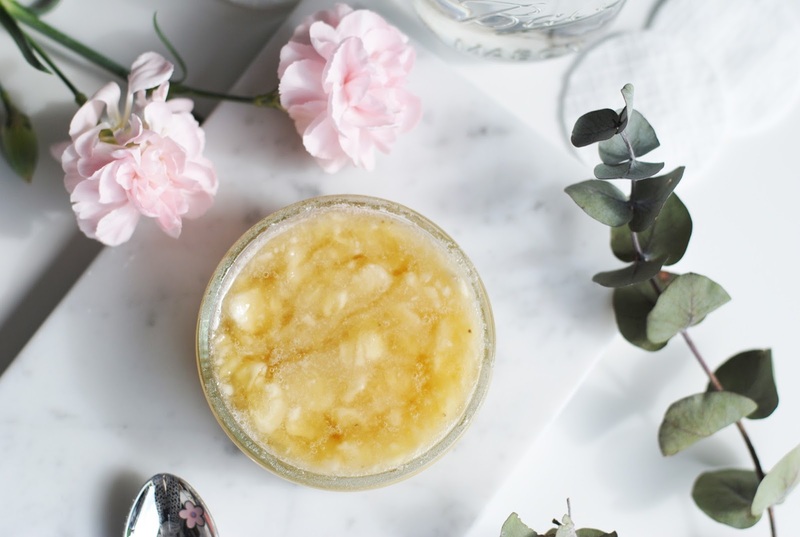 Honey exterminates bacteria and contains skin lightning properties too. It also keeps together the sugar and banana and makes it easier to smear the mask on your face. 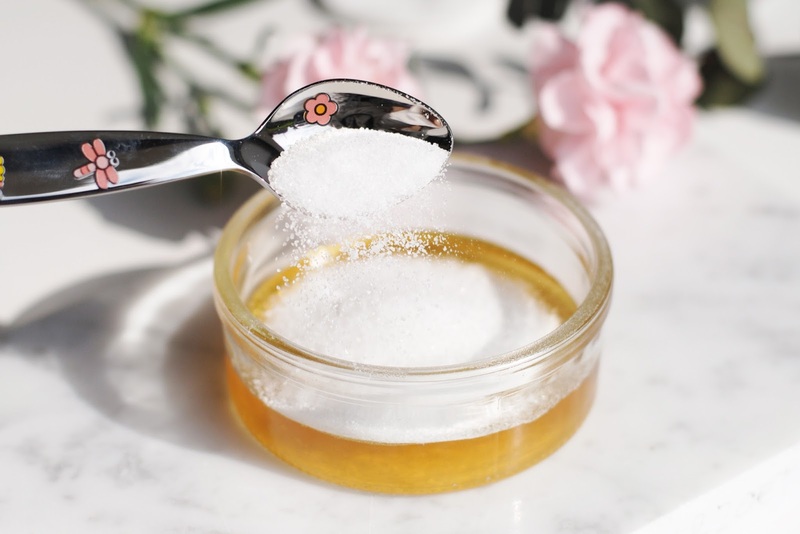 Sugar serves as the exfoliator here, as little scrub particles. I love sugar/salt scrubs, so I just had to turn my mask into a scrub too. How to make this mask? Very simple, just put everything together! I prefer to use a lot of sugar, because I'm a big scrub enthusiast. 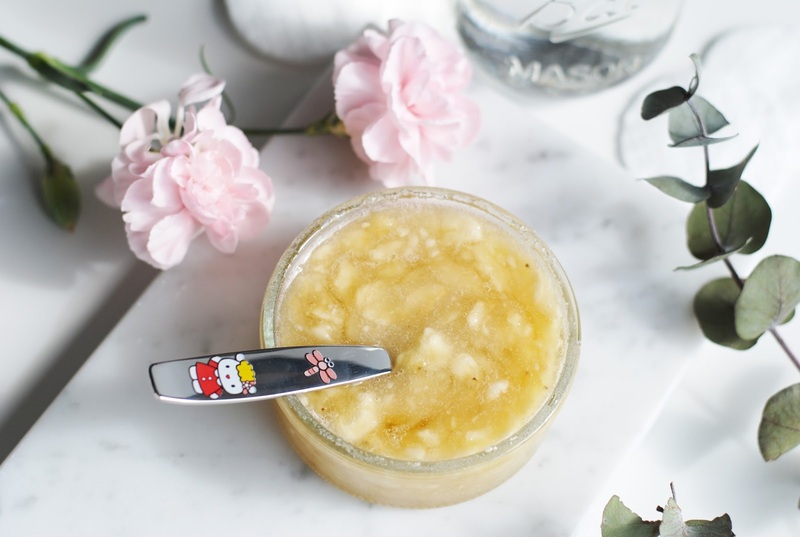 My mask is literally ready in 2 minutes, so it's not hard to make at all, and you probably already have the ingredients at home. I massaged the mask in, then left it on for about 15 minutes. After that I thoroughly rinsed it off, and I can say that it gives the same result as a drugstore face mask, skin looks a bit more radiant and softer. 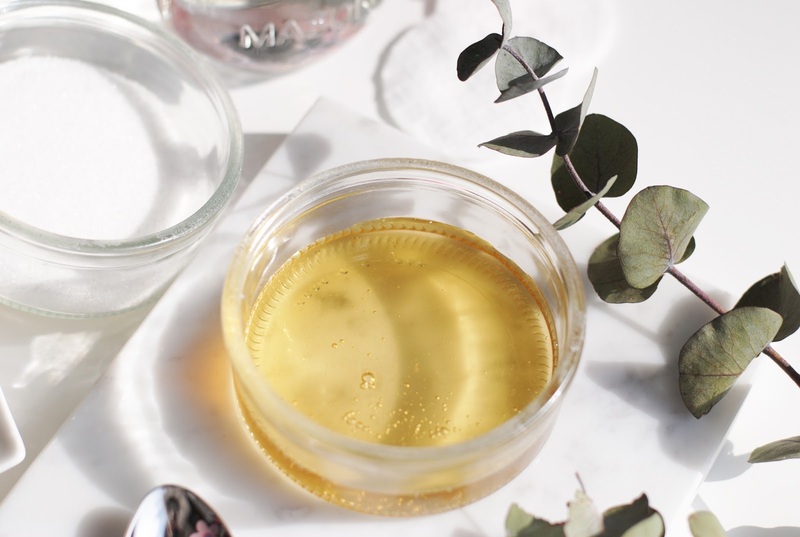 I definitely prefer a homemade mask over a drugstore mask, because it has the same result and it completely natural. 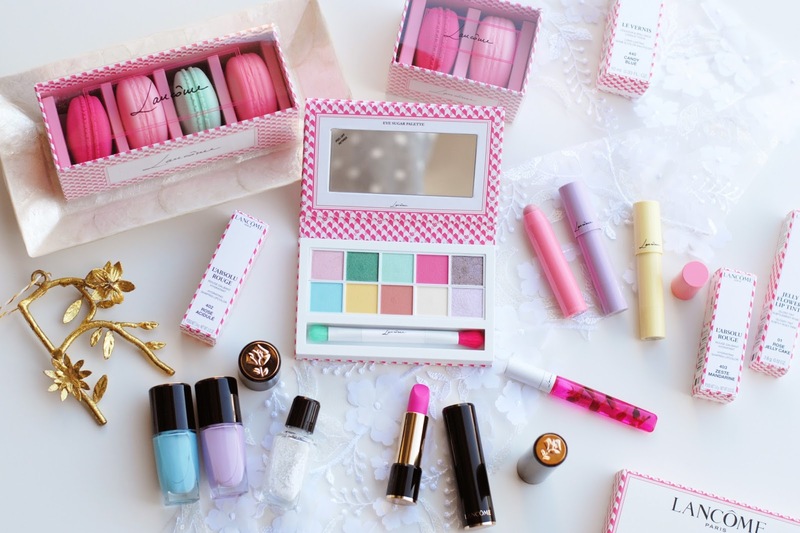 Above are some Demake'Up products that I currently am trying. I already use the Demak'Up cotton pads daily with cleansing milk or micellar water. The little orange jar in the middle contains cotton pads with micellar water, so handy to take with you an a vacation for example. Making your own mask/scrub is definitely fun to do. 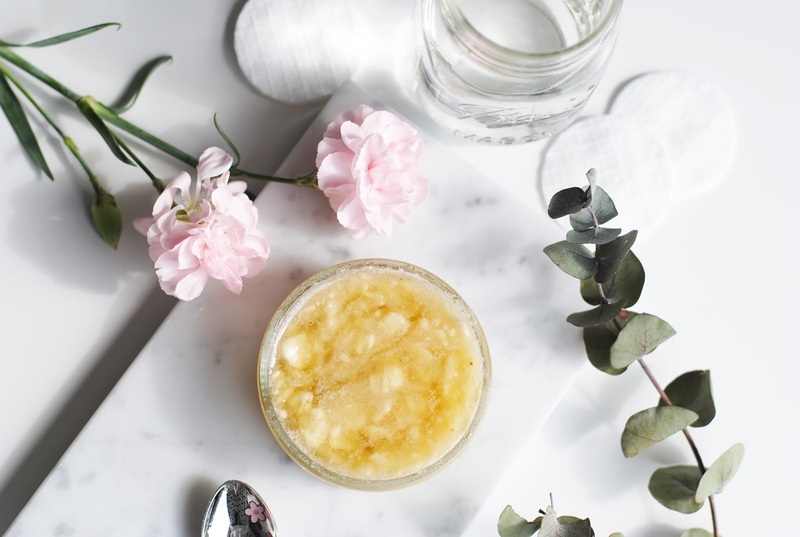 You also know that you won't get any allergic reaction (unless you're allergic to one of the ingredients of course) to it, and it's suitable for sensitive skin. 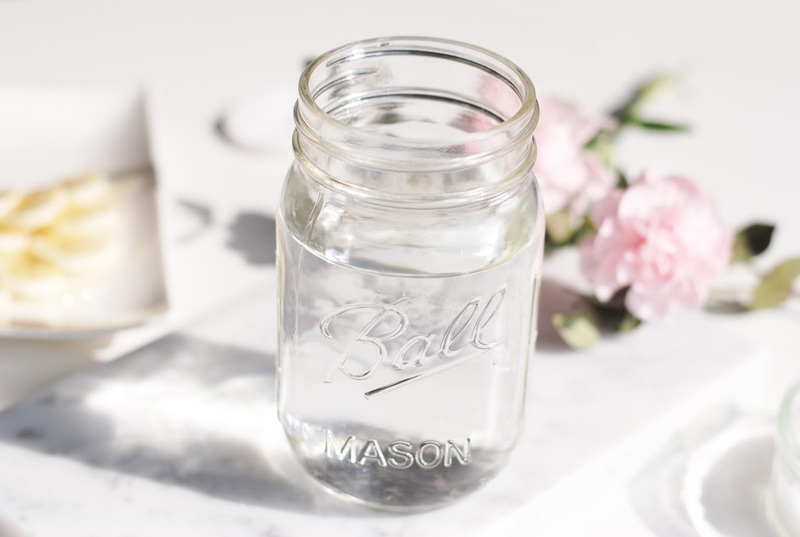 I'm not the biggest fan of 'detox water', I just prefer to eat my berries and drink some water, so my Mason jar is filled with only water. 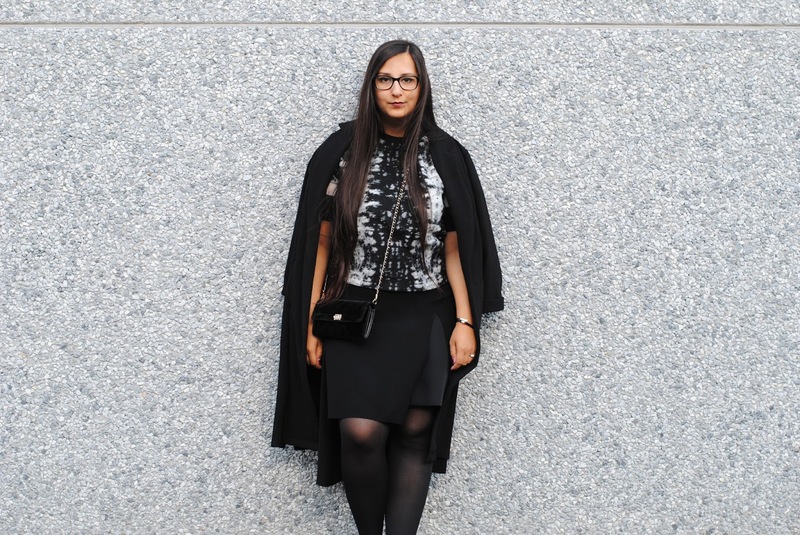 Have you ever diy'ed a mask? Making your own mask sounds fun! 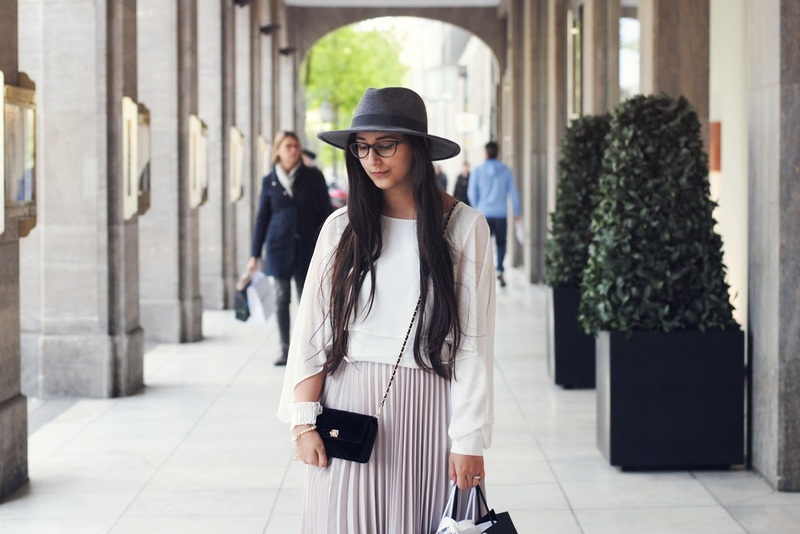 And I really love the pictures of this post! 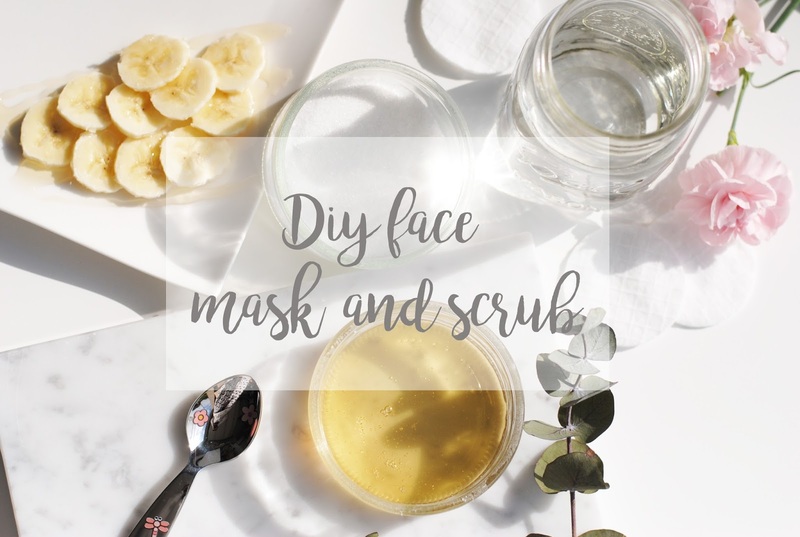 I'm always scared of these DIY masks because of the messiness! Going to try this tonight! !! I love masques. Although most of the homemade ones I have done were for hair. This sounds amazing! !